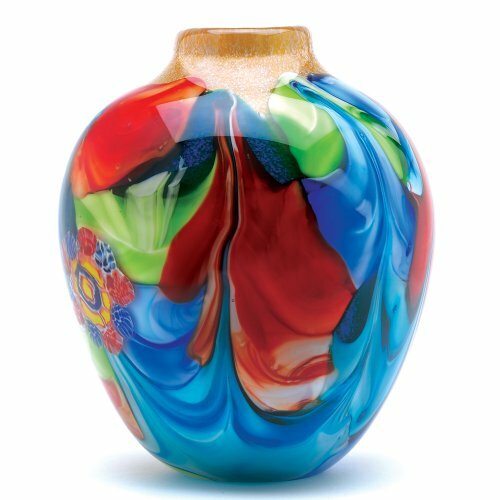 This individually hand crafted jug-shaped vase is a treasure of glowing color and graceful garden imagery. Actual item may vary in colors from the picture shown here. Decorative purposes only. Weight 11.5-pounds. Glass. 8-inch diameter by 9-inch high.